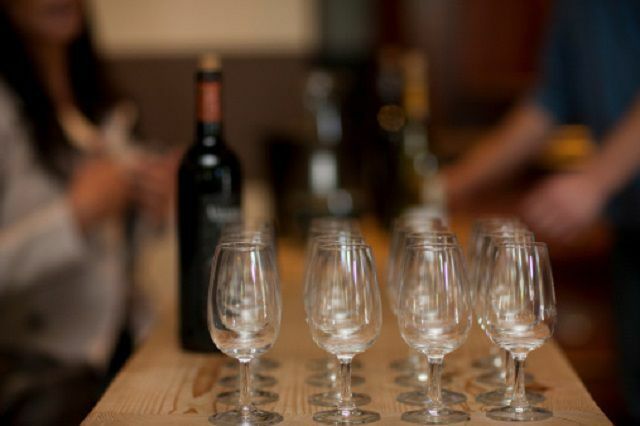 When you want to get a handle on the various nuances that different grapes bring to the glass, there's no better way than in a hands-on, palate-on comparative wine tasting format. Not sure where to start? We've rounded up some of our favorite, easy to find white wines and gathered some top notch red grapes below to get the tasting started. Pinot Noir in the glass: Ruby red colors, aromas ranging from fresh flowers to earthy mushroom or “forest floor,” to the best of the berries, and a hint of sweet vanilla oak influence, Pinot Noir takes care to keep tannins in check (thanks to the grape’s thin skin) and typically pours in a light to medium-bodied style with cool-climate infused acidity, and an easy elegance. Textures can be reminiscent of white wine profiles given the softer palate appeal, delicate body, and lively acidity in the context of nimble tannins and forward fruit. In fact, many white wine lovers find the alluring profile of Pinot Noir to be an easy entry point into the often daunting world of red wine. Pinot Noir with food: Pinot Noir is to the red wine world, what Riesling is to the realm of white wine – the “go-to” wine for an incredible range of international cuisines and down home favorites. Extremely versatile, befriending everything from fish sticks to herb-crusted salmon steaks or Ahi tuna, and roasted poultry or beef topped with Burgundian-themed mushroom sauce to burgers and brats, Pinot Noir’s intrinsic finesse and affinity for food makes it a top pick red wine for pairing the spectrum of simple staples to tricky dishes, and out-of-the-box foodie fare. Merlot in the glass: Ruby red to dense purple in color, Merlot offers up a range of understated fruit grounded on earthy, terroir driven nuances in the Old World and brings plenty of ripe fruit, round flavors, and warm spice to New World editions. From plum to cherry with dusty cocoa nuances and tobacco leaves, ample body, fine grained tannins and velvety textures, the overall structure and palate profile of Merlot often mirrors Cabernet Sauvignon, with perhaps a little less tannic punch. Merlot with food: Merlot is made for meat. From hamburgers and grilled sausage to stand-out steaks, and Bolognese, lamb chops to pork chops, and back to turkey or roasted duck. Strong, flavor-filled cheese choices like Stilton or Roquefort, Cheddar, Jarlsberg, and Camembert also make their mark on Merlot. Shiraz and Syrah in the glass: “Inky” and “purple” are classic color descriptors for trying to capture Syrah’s heavily-pigmented color components. Rich, ripe fruit with aromas that stick to earthy, almost herbal undertones wrapped in warm engaging spice, smoke, and black pepper give way to bright, sweet fruit profiles that run the red and dark berry route. Easy diversions towards cherry and chocolate, or tobacco and tar, along with leather and black licorice, provide plenty of palate intrigue. This distinctly dry red wine maintains moderate to high tannins, with a robust body, and often leans a little higher on the alcohol scale. Shiraz and Syrah with food: Perfect for pizza night, barbecued beef or chicken, smoked game, and pork or poultry, the ripe forward fruit, velvety textures, and immensely approachable style of Australian Shiraz makes it a natural for pairing with all sorts of meaty fare. The refined, traditional take on Syrah that the Rhone Valley pursues makes a tasty pairing with black pepper steak, wild game (especially venison), and more mature cheeses.